Redistricting out Conservatives they see as a threat in the Primary! The word down in Austin is that there’s a move by Straus and the Ratliff clan to redraw House District lines to carve one or more potential conservative challengers into Democrat districts. The House conservatives are fighting this, as reported by the Austin American Statesman. “A House Republican screamed at a fellow member of his own party as they emerged Thursday afternoon from a longer-than-expected GOP caucus meeting. The argument appeared to be about proposed changes to House districts. The chamber is debating redistricting bills Thursday. The question is why are Straus and the Ratliff Clan desperate to protect Bennett Ratliff? Well they know that Texans are onto their tactics to enrich many of the educrats at TASA (Texas Association of School Administrators), TASB (Texas Association of School Boards) and the ESCs (Education Service Centers) all using Texan’s tax dollars. They know Texans are preparing to take them out of office so they use the tactics of folks like Obama, they use the system to remove their competition. So who is the Ratliff Clan you may ask….. Do these terms mean anything to you. Robin-hood, No Child Left Behind, CSCOPE~ Below was the latest before we found out about Straus’ stunt at the Capitol to protect Bennett Ratliff by redistricting out his primary opponent Matt Rinaldi…..
Looks like SBOE (State Board of Education) Vice Chairman Thomas Ratliff is a little testy. Interesting isn’t it? Please see the press release below that came out by Thomas Ratliff. Although, before I get to that please let me connect a few dots for you with the Education Bureaucracy in Texas. The Ratliffs are the Education Clan of Texas. The CURE (Citizens United for Responsible Education) is on a mission to educate Governor Mike Huckabee and we need your help. 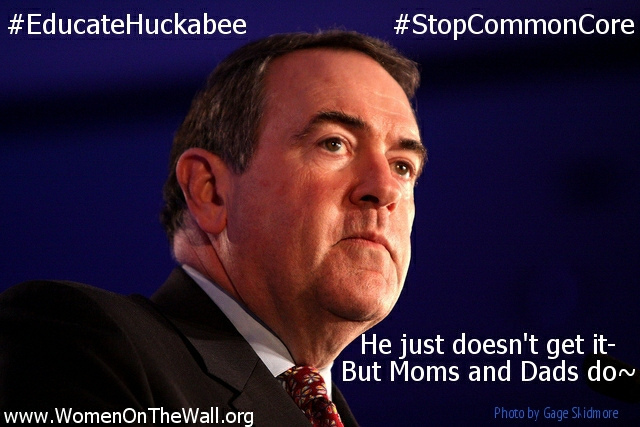 Starting at 8 am pdt/ 11am edt/ 10am CST June 20, 2013 and we are doing it for 72 hours leading up to his show on Saturday June 22, 2013, we are asking you to Tweet and put on Mike Huckabee’s Facebook pages facts about Common Core . _____________________________________________________Is Common Core in Texas? You Bet it is. What is Common Core and What it is not ~ States Across America are beginning to ask the questions…. Common Core is a complete transformation of Education in the United States led by the federal Department of Education and the corporate education business machine. Bill and Melinda Gates Foundation, financed the Common Core. Two private entities, the National Governors Association and the Council of Chief State School Officers, direct the initiative and actually own and copyrighted the Common Core. Hat Tip to Utah Teacher Christel Swasey for the break down below of what Common Core is not…. It’s not “state-led.” The authors of the copyrighted Common Core are private entities, not subject to open meetings, accountability to voters or other proof being state-led. Conditions of the federal ESEA waiver and Race to the Top application show how federally-pushed the Common Core agenda was. Now Obama has announced a tax to pay for Common Core technology in a ConnectEd Initiative, and has announced that he will redesign U.S. high schools. It’s not minimalistic. Proponents call it a set of minimum standards. But a 15% cap was placed over the copyrighted standards by the federal government, limiting Washington from adding much. Worse, the Common Core tests, with teacher evaluations geared to them, act as the ultimate enforcement mechanism. It’s not protective of privacy. Along with asking us to adopt Common Core, the federal government pushed the State Longitudinal Database Systems (SLDS) which now exist in each state. These give aggregate information to an Edfacts Data Exchange. Although private information gathered by schools, found in an SLDS, is not required to be given to D.C., it is requested. Federal entities request that states share identifiable student information: see the Common Education Data Standards, the Data Quality Campaign, and the National Data Collection Model. The Department of Education altered federal regulations in the Family Educational Rights Privacy Act (FERPA) reducing parental consent requirements and redefining “authorized representative,” “directory information” and “education agency” to obliterate privacy. These pieces form a yet-unfinished puzzle that will destroy student privacy, but we are told the puzzle will not be put together. Then why did Washington build an SLDS to federal specifications? Where is the legal authority for entities to set school standards and to monitor tests? Where is a line-item, discussion of the cost of Common Core technologies, teacher trainings, and textbooks? Why didn’t Common Core States follow the U.S. leader in education, Massachusetts, rather than adopting the mediocre Core? In speaking on the dangers of the philosophy of education found in Common Core I have been intrigued by the passion behind those in Education who are pushing for Common Core. I believe that comes from a dynamic speaker and the voice behind Common Core. Her name is Sarah Brown Wessling. Here is a little background on Wessling……. Sarah Brown Wessling is a high school English teacher in Johnston, Iowa. She is the 2010 National Teacher of the Year and is the Teacher Laureate for Teaching Channel. She also hosts “Teaching Channel Presents” on public television stations around the country. Please take note of what she says in the video below at time stamp 4:28 about what you would see when you come into her classroom. Texas Mom and classical educator Cathy Wells takes a look at the Constructionist theory in education. “I wanted to elucidate once again for those who have missed it or are new, what the real problem with Common Core/CSCOPE is. This happens to also explain why, once CSCOPE lessons are gone, that we have to remain vigilant against programs such as icloud or anything else that is non-traditional or based on social constructivism. Essentially, social constructivism posits that the best way to learn something is to invent it or “discover” it yourself. I concede that this is certainly a very thorough way to learn something. I’ve had to do it myself in ranching many times. However, in terms of academics, it’s a really bad idea. You’re basically suggesting that kids spend their entire school day “discovering” information. The volume of information that you can cover in a day is sharply reduced. Which, according to Common Core standards is not only acceptable but the desired result. The idea is that this “deep” learning of concepts/principles will somehow transfer itself to other learning areas. The primary problem with this theory is that it does not work. Veteran teachers know this. Try factoring out an algebra problem without knowing your times tables by the dread ROTE that Common Core proponents despise. What typically frustrates advanced math teachers is the lack of fact memorization. Classically and traditionally, younger years were spent in rote memorization because that is the concrete learning phase of childhood in which young children excel at just tucking away bits of information in their heads. The alphabet song, tunes on the radio, languages, etc. are most easily picked up during this stage. When the child reached the middle years, they began putting those facts to greater use, applying logic and making synergistic connections. The high school years would be spent in mastery of subjects and learning to argue a point using all the facts and logic applied theretofore. It appears that what modern education would like to do is completely skip the young “grammar” stage of learning, skip the memorization of any facts, and head straight to the logical thought period. If we lived in the Matrix and could have programs instantly loaded into our brains, that might work great (given our brains were born at the abstract level of maturity, which they are not). Since we live in the real world…sadly, this is not an effective methodology.